The running talk in this space has quieted considerably, but I'm still training away for my upcoming half marathon. Or should I say, I'm tapering since the race is Sunday! My original goal was to crush my 1:44:25 time at last year's race with a speedy 1:40:00, or as close as I can possibly manage. In the past, I haven't been one to make many excuses about my training, but this time around? Yeah. Things didn't go as well. I actually signed up to be part of a training program through our local running shop, and I started out strong with the pre-season training and even through the first half. Then we put our house on the market, my parents moved (meaning less childcare and help with boxes), and things started to go south. It wasn't that I stopped running entirely, but my usual exercise times got interrupted by mad-dash cleaning sessions, random house showings, and all that jazz. Instead, I spent the last half of the cycle just trying to get in a few long runs, hill training sessions, and suitable base mileage. I'm also going to be lame and say that it's because of the weather as well. But seriously -- I ran outdoors this entire winter, averaging around 25-30 miles a week in negative temps and on snow-covered roads. I don't even think I ran a single treadmill mile! When the temps and snow didn't improve much into the spring (our heat is still on! ), I just HAD IT and needed to drop back for a mental break. 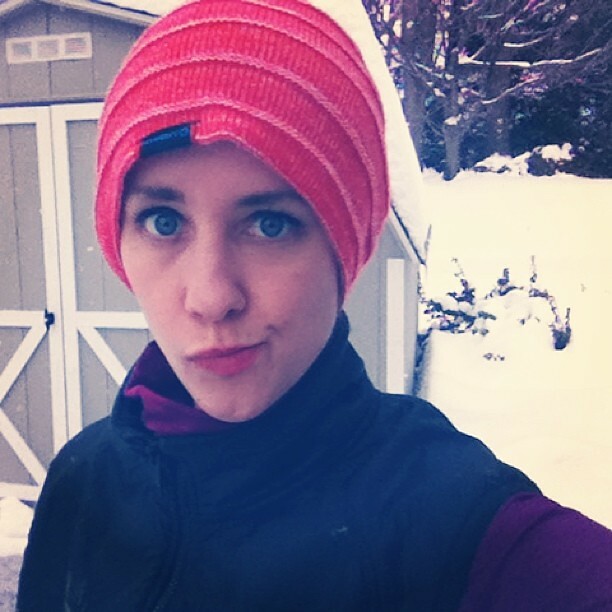 I ran a lot of 10-milers, a few 11-milers, and one 12-miler. In previous half plans, I'd do at least one 13+ mile run, but I'm thinking (hoping) it won't matter terribly much. The good news: I did PR at a couple races throughout the period of my training, including a 4-miler (29:09) and a hilly 15K (1:13:24). The PRs were minimal, but I'm wondering if I'll at least be able to maintain last year's time or even get slightly faster. Anyway, instead of taxing my legs with another long slog over the weekend, I decided to challenge myself with one last fast dash before the taper. 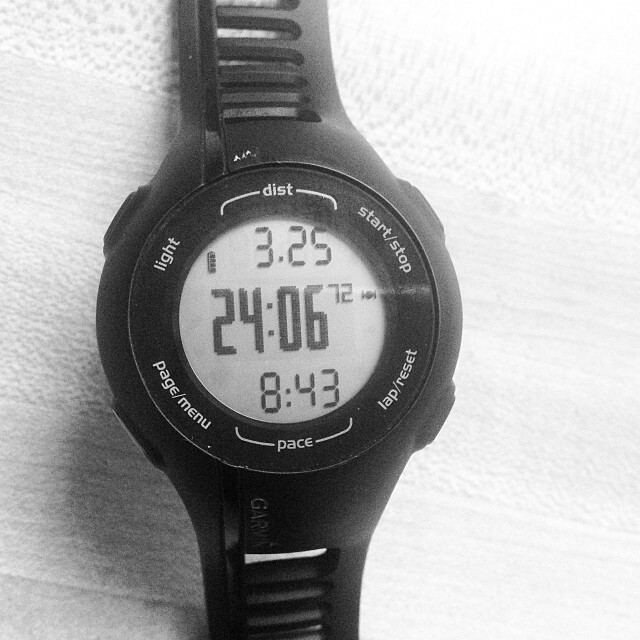 I didn't really plan to go my 5K pace, and I even pulled back in the second mile. However, I feel strong knowing that on my own, I did a 7:20, 7:25, and 7:09 mile (with quarter mile cool down) on neighborhood streets. Had I really gunned it, I'm confident I could have averaged my current 5K pace of around 7:08/mile -- all somehow without organized speedwork. Hills, you guys. Even if you do them slowly, they give some major rewards. My plan for the race is to take it as it comes. Right now, I do not think I'll be taking a watch with me to track my time. I don't want to force a certain pace knowing that I didn't practice it much and risk injury or totally bonking. I often run blind during races anyway and try to do everything by feel. Instead, I'm going to do the best I can to rest and rejuvenate over the next several days, to sleep well, and to hydrate + feed my body some good fuel. The situation is what it is. I don't run as many races these days, so I am slightly disappointed in my shoddy training efforts because it's not like I have anything else on the calendar . . . but at the same time, I didn't completely fall off the wagon. I am totally ready to run a solid half marathon, just not the super speedy one of my dreams! What do you do when a training cycle doesn't go as planned? Also: WalkJogRun, which is this great running app + place where I have one of my writing gigs, has just released a NEW version of its app today with an awesome, real-time pace coaching feature. I don't get paid for clicks on my articles or any incentives to share this news with you on my blog. Just think it's a neat feature -- especially for those of you who use your phones as your fitness tracking devices.